What is going on here? 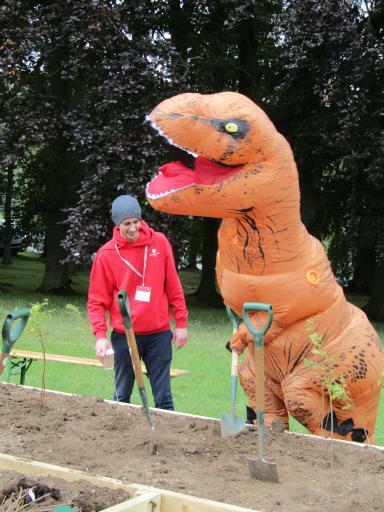 How can a T-rex plant a tree with it’s tiny arms? Is it frustrated?